What makes a successful merger and acquisition? 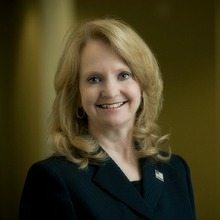 For Kay Curling, the Chief Human Resources Officer (CHRO) at Salient Federal Solutions, Inc, the key is consistency. The M&A guru has facilitated 19 transactions — five in her current post, and the remaining with three area federal contractors, where she developed the consistent M&A regimen she now swears by. It’s been three years since the Virginia Tech alumna joined Salient Federal Solutions during the company’s inception in 2010, and her experience with the phenomenon is critical in a government contracting industry laden constantly with merger and acquisition activity. Curling chalks up her team’s success to its tried and true due diligence process in the face of merger and acquisition activity, which ensures the team does not become overcome with, what she called, the thrill of the hunt. She cautioned that contractors in search of quick growth who rush to complete deals without implementing a plan at times shortchange critical components of their strategy. The due diligence process is critical because it provides the management team with the ability to deeply assess and understand what it is buying which, ultimately, determines the success of the potential acquisition. But Curling cautioned that a successful due diligence does not necessarily result in a sale. Mergers and acquisitions at times fail to produce the value promised to shareholders when, Curling said, that disciplined process and consistency has not been established. She noted that those courting sellers have an obligation to understand the hard and soft sides of the business. The soft side begins once the team has completed the hard due diligence process of discussing financials, contracts and risks associated with the venture. Soft due diligence revolves more around intangibles – people, cultural fit and core values. “Our business decisions are grounded in and guided by our core values. A purchase must produce value to the combined set of clients, the combined group of employees and our shareholders. It also must also be culturally appropriate, so that the side that is being acquired will more easily fit into our employee family,” Curling said. After the close of the acquisition the team is tasked with educating the buyers, sellers, employees, clients and other stakeholders with information about the new services, expectations and how the change will affect each of them in the future. Be sure to read The Curling Clan, our story about Kay and Melissa Curling, and the families of government contracting.